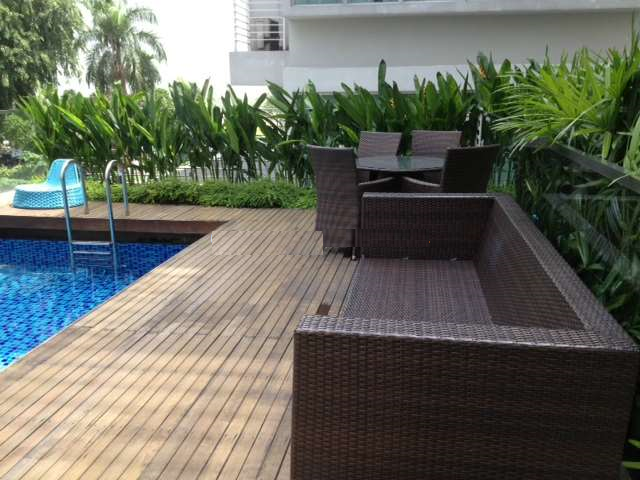 Studios @ Marne is a freehold apartment situated at 2 Marne Road Singapore 208393 in district 08. It is completed in 2009 by Vyco Pte Ltd. There are a total of 46 luxurious units here. It has basic condominium facilities for residents to enjoy. These include BBQ pits, swimming pool, pool deck, roof terrace and car park.The range of in house facilities will pamper you to the max. In a class of its own, Studios @ Marne, it is favorably located within the proximity of major roads and public transport. It is located at 2 Marne Road (S)208393 in District 8. The nearest Mrt stations is Farrer Park Station which is 0.3 km away. Other nearby Mrt stations are Bendemeer and Boon Keng station. There are several bus services available here. Driving to Central Business District and Orchard Shopping District will only take you about under 15 minutes. Major expressways like CTE and PIE are seamlessly and conveniently connected to every part of Singapore making it so hassle free for you to travel to work or play. Residents here can head down to nearby malls like Balestier Point, Jalan Besar Plaza, Serangoon Plaza, Sim Lim Tower, The Verge, Mustafa Centre and City Square mall to do their shopping and many more. For more shopping options, you can head down to the rest of Orchard shopping district which is about 15 minutes’ drive away. Foodies can head towards the famous eateries and restaurants along Kitchener Road, Serangoon Road and over at Jalan Besar. If you like hawker food, the nearest hawker centers are at Tekka Centre, Balestier Market, Soon Huat Food Centre, 22 Toa Payoh Lor 7 Wet Market and Hawker Centre and Geylang East Centre Market & Food Corner. The nearest supermarkets are Sheng Siong Supermarket at Block 108 Mcnair Road, NTUC Fairprice Supermarket at 180 Kitchener Road and Prime Supermarket at Block 803 King George Avenue. There are many recreational facilities include Jalan Besar Community Centre, Kolam Ayer St George's East RC, Kallang Community Club, Kampong Glam CC, Kolam Ayer Geylang Bahru RC, Ceylon Sports Club and Civil Service Club. The primary educational institutions around include Bendemeer Primary School, St Andrew’s Junior School, Balestier Hill Primary School, St Magaret’s Primary School, Stamford Primary School and Farrer Park Primary School. The Secondary Schools in the neighborhood include Bendemeer Secondary School, Balestier Hill Secondary School, St Joseph’s Institution and St Andrew’s Secondary School. Tertiary Educational School is St Andrews Junior College. For medical consult, you can head to the nearby General Practitioner Clinics, Toa Payoh Polyclinic, Tan Tock Seng Hospital, National Skin Center, Kong Wai Shiu Hospital, KK Women's & Children's Hospital, Ren Ci Hospital, Novena Medical Center and Mount Elizabeth Novena Hospital in the area to provide specialist healthcare services for the residents. Studios @ Marne is conveniently situated at the fringe of the city and close proximity to Little India and Balestier Road. . Living here in this urban sanctuary reflects the ultimate dream that make any other possession secondary. It is definitely a true work, play and live nature retreat after a long day at work.It is created as the ultimate home for you to enjoy a prestigious living created beyond the definition of exclusivity.